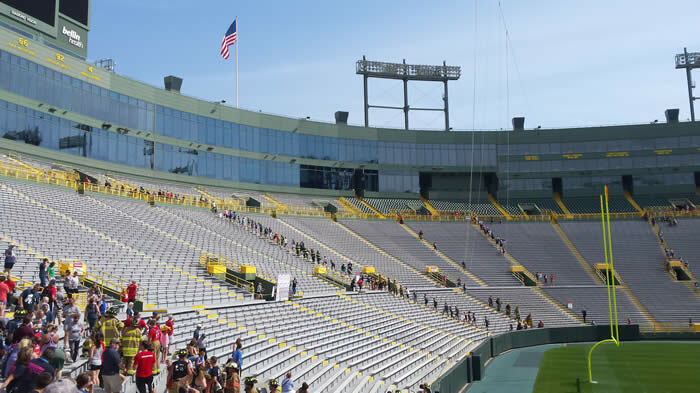 Parking in Green Bay can be easy. 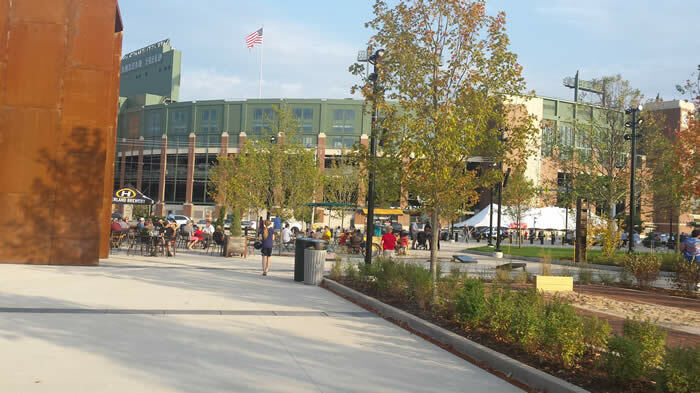 Tailgating and parking in front yards are all around Lambeau Field. 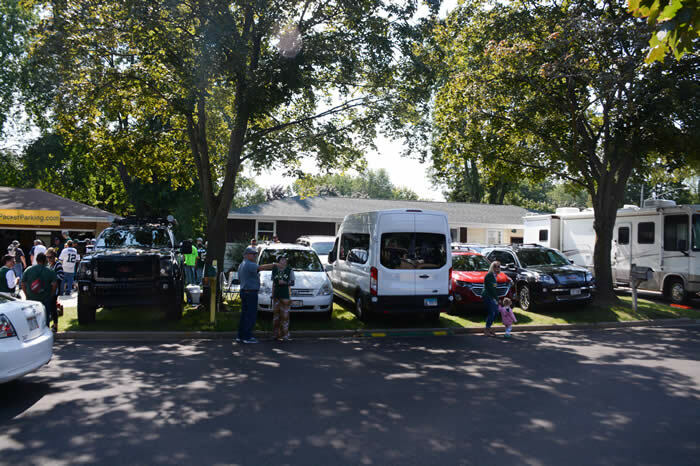 Homes south of Lambeau Field have easy out for parking because there is no parking on the curb. Sure. We still got room to park your bus. Art Alexakis with Everclear at Kickoff 2017. The Know it all with Mr. Mark Murphy. Mr. Mark Murphy with fans. Crashing the Lodge Kohler. Top floor. Where is Jay ? Mmmmmmmmmm. Ya gotta tailgate with bratwurst, steaks, or burgers. Don't forget the beverages. Hey, was that Lynn Dickey or Aaron Rodgers ? Nice scarf. Happy Halloween, Joker. The Frozen Tundra. 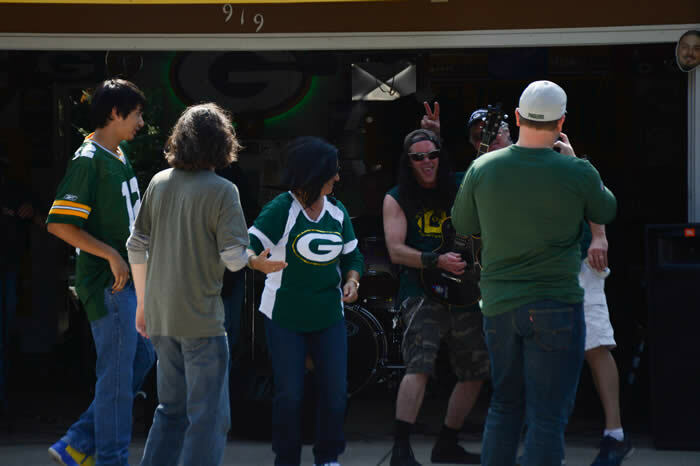 Only in Green Bay, Wisconsin. USA. Thanks for the RED BULL. Hope to see you soon south of Lambeau Field. To Get to the best parking spots go north on Oneida St. past Bay Park Square, Taco Bell, Texas Roadhouse, IHOP, and many other restaurants. Turn left on Morris Ave. by Buffalo Wild Wings (BW2), and then right on Kassner Dr.
Red Bull on Packer game day on Packers vs. Vikings October 2010. Yum. Fall pic looking north over Lambeau Field, middle October 2010.